BBFC Consumer Advice:Mild violence, threat, language. Along with the independent and resourceful Adelina Fortnight (Zoe Saldana), who possesses the only known map to the group's secret destination, the unlikely trio embarks on a riotous rollercoaster ride of a journey. Along the way, our fearless explorers encounter more than their fair share of peril, stalked at every turn by dastardly villains seeking to thwart their mission. 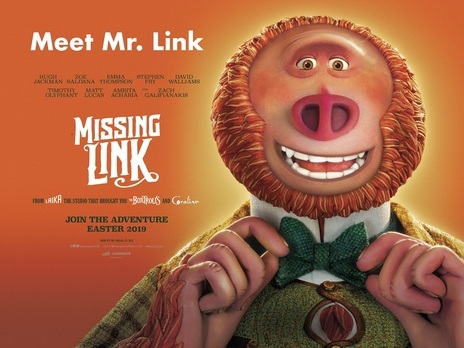 Through it all, Mr. Link's disarming charm and good-humoured conviction provide the emotional and comedic foundation of this fun-filled family movie.